Shows also include vegetable contests for children. 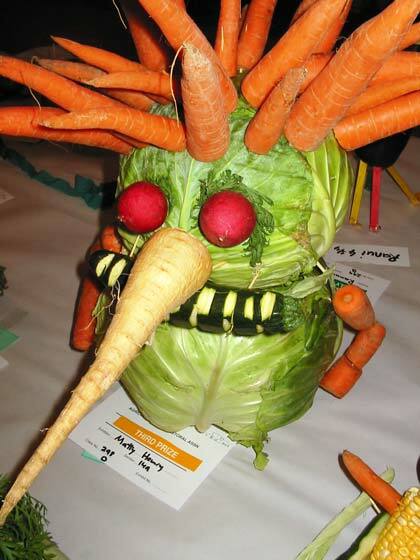 This inventive entry in the ‘vegetable animal’ competition only took third prize at the Kaikōura A & P show in 2006. The first prize-winner must have been truly spectacular.